Japan has been sharing its pop culture with the rest of the world for decades. One of the earliest such examples of this is the animation Tetsujin 28-go, better known to English speaking audiences as Gigantor. Japanese animation’s always seems to ebb and flow every decade or so, picking up swaths of new fans and reigniting the nostalgic passions of old with every passing wave. Let’s take a look at some of these marks, shall we? Years later in 1987, Mekton 2 was released, which takes a form we’d recognize as a proper RPG: players stat out not only their giant robots, but also a pilot for said robots. The rulebook also makes the occasional mention of Japanese animation, making the Mekton series an proto-anime RPG. It isn’t until 1994 with Mekton Zeta that it becomes apparent that the game is being designed to appeal to fans of anime. Mekton Zeta followed one of the trends of 90’s RPGs by including numerous different optional rules, (many of which were not meant to be used together) including a stat called “kawaii” (lit. “cute” in Japanese) that allowed a character to mimic some of the cartoony, slapstick gags characters from anime. In the year 2000, a game in Japan called Gundam Senki is released: an RPG explicitly based on the Gundam franchise that makes use of the rules system Mekton Zeta introduced. This effectively makes Mekton a game that has gone full circle from being vaguely to directly related to anime. As for the game itself, almost every version of Mekton is more or less a war game featuring giant robots with a role playing game attached to it for when characters aren’t piloting mechs. The majority of character creation in Mekton often revolves around devising a build for your character’s war machine, and a bulk of the gameplay rules are how to use them. Despite this, conflict resolution remains simple: in almost all cases it’s 1d10 + Attritbute + Skill. Teenagers From Outerspace, is another series from the R. Talsorian Games, and is another oft cited title in the list of “anime RPGs.” TFOS was originally released in 1987, and much like its predecessor Mekton, didn’t initially bill itself as an anime themed game. TFOS eventually became a love-letter to the “strange neighbor” genre of anime. It emulates such shows as Urusei Yatsura where the titular teenagers from outerspace come to earth and live alongside the more ordinary earth teenagers. In fact, the covers of later editions even feature characters that resemble those from Urusei Yatsura! The 3rd edition of this game was published in 1997, one year before R. Talsorian Games went on an 8 year hiatus. This was also the same year that another company from Canada would take their hand at making an RPG that capitalized on the popularity of anime. Released in 1997 by Guardians of Order, this title is what many think of when the term “Anime RPG” is brought up. This was the first RPG that explicitly billed itself as a game for fans of Japanese animation. However, it wasn’t necessarily the first RPG that was used as the backbone for a licensed RPG product; prior to the creation of BESM, R Talsorian had published sourcebooks for shows such as Bubblegum Crisis and Armored Trooper VOTOMS. These acquisitions provided an outlet to develop new rules for specific settings that would later be translated into newer editions of the game. For example, the magic system that was introduced in the first edition of BESM was very loosely defined, though the version that was used in its second edition was first pioneered in their Sailor Moon sourcebook, which was released between the two editions. This modus operandi of experimentation in sourcebooks and codifying rules in new editions and spin-off games continued until 2007, with the release of the third and final edition of Big Eyes Small Mouth. It was just barely completed before Guardians of Order had to go bankrupt and shutdown, with White Wolf taking over this final publishing effort, and only briefly supporting it under their Arthaus subsidiary. From a rules standpoint, anybody familiar with GURPs will feel right at home with BESM 1st and 2nd edition. The games are very similar when it comes to character creation, and coincidentally, many writers for GURPS also at some point worked on BESM. The 3rd edition had a lot of great ideas for standardizing how various character powers worked, thus allowing crafty GMs to devise new powers to without damaging game balance too much. OVA was originally released in 2005 by Wise Turtle Publishing, with a revised edition being released in 2013. Since this is a game that’s still supported and relatively fresh on the market, this title doesn’t so much tell any sort of history as it’s still in the making. With that in mind, it may be best to keep criticisms and praises for this franchise to a minimum. One point that can be said for certain to OVA’s credit is that it improved greatly from one edition to the next, as well as compared to some of its predecessors. The illustrations used in OVA were drawn by a singular artist, which gave it marvelously consistent style, unlike what you’d find in the core BESM books. As far as gameplay goes, OVA stands strong on its own. It takes a more narrativist approach, with most abilities being descriptive characteristics. Descriptions are short, and abilities are distinct enough that knowing the name of it is sufficient for determining if it could apply to a given situation. Fondness of roleplaying games and Japanese animation aren’t traits that are exclusive to the people of North America and Europe. In 1994, Brazil joined in on the fun of combining imagination, dice, and a fondness for drawings with oversized eyes with the game Defensores de Tóquio, otherwise known as Defenders of Tokyo. 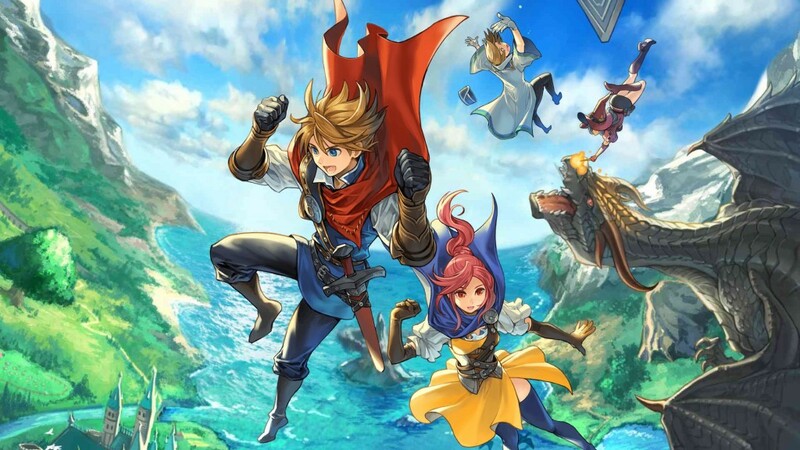 There currently isn’t much known about this game in English speaking communities, however in recent years (circa 2015) english fan translations of the game’s third edition have appeared on the internet. It features the games basic rules, as well as the cover art for the rulebook, but little else. There’s something important I’ve learned in all the years I’ve spent reading over these rulebooks, playing many of these games, and researching the histories of these companies. Anime is not a genre; it’s an audio-visual medium from Japan that, at best, has a somewhat unified aesthetic that changes every decade or so. For anybody who wants to run an “anime” game, I have some advice. Be more specific with your setting, and pick a game suited to that setting. That’ll be much more satisfying than trying to get an a generic game trying to follow a certain aesthetic. However if all it takes is for something to be from Japan to excite you, I do have a few suggestions I can make for you.